John Scanlan has over 30 years of experience creating and leading organizational change, continuous improvement efforts, and program execution in education, business, government, and the military. John has led mid-size and large organizations to improve product quality, service delivery, efficiency, and cost effectiveness, using his industry Lean Six Sigma Black Belt (General Electric Customer Training) to identify, measure and resolve strategic and operational challenges. John has also held key operational and finance leadership positions in several large urban school districts, focusing on customer and student success. 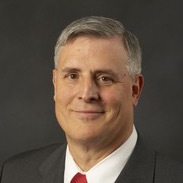 As chief financial officer of the Cleveland Metropolitan School District, he has been responsible for implementing financial and administrative best practices and creating student funding equity by designing and introducing a transparent, school-based, student-weighted funding model to match teaching and financial resources with student needs. Additionally, John’s continuous improvement focus created operational efficiencies and cost savings, taking several organizations from financial insolvency to solid fiscal positions and in one multi-year effort, creating a nearly $100M reserve. John was also a key contributor to the “Cleveland Plan.” This national model leverages school autonomy and service decentralization to support dramatic transformation of teaching and learning to improve student outcomes. Prior to entering education administration, John served as a decorated captain (O-6) in the United States Navy, with 26 years of tactical and engineering operations, production, and logistics leadership with the Navy, commercial contractor teams and the Department of Defense.